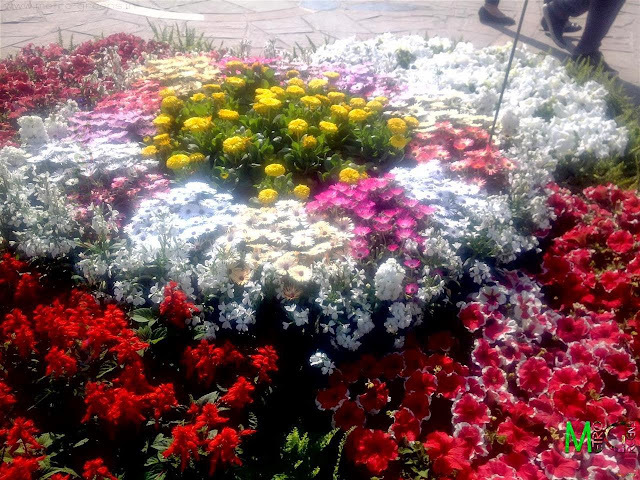 The last post covered a lot of features at the Garden Tourism Festival, this one will be the closing post for this year's Garden Tourism Festival visit. I had a lot of pictures to share, and I found it too hard to select a few and remove other shots, so decided to let almost all of them go. 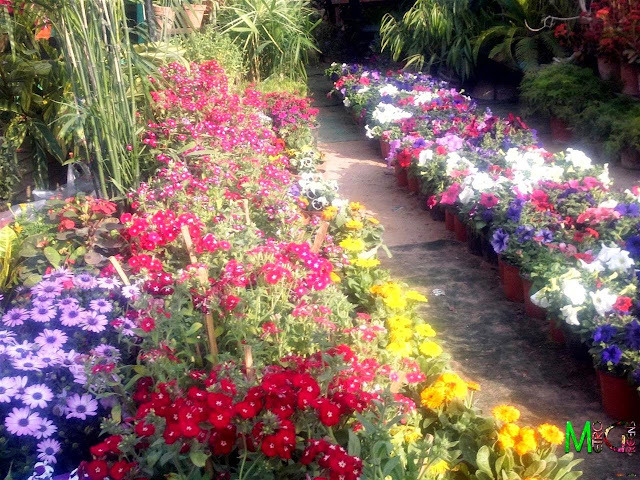 This post concentrates on the stalls where the visitors and gardening lovers could buy plants, bulbs, seeds and all the gardening stuff. 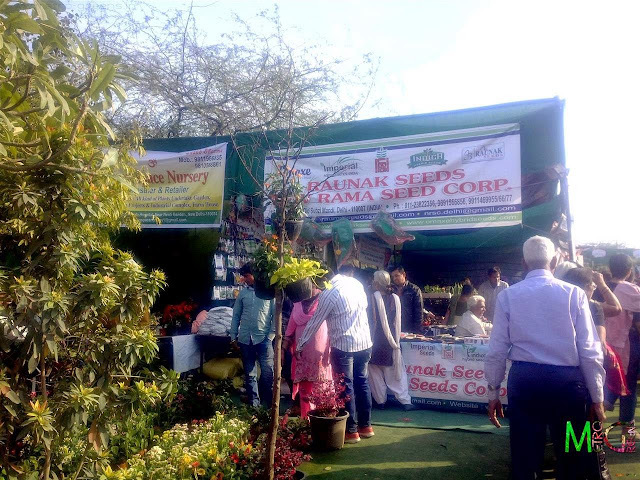 Frankly speaking, it was an eye opener, an awesome surprise to find so many gardening lovers at one place. 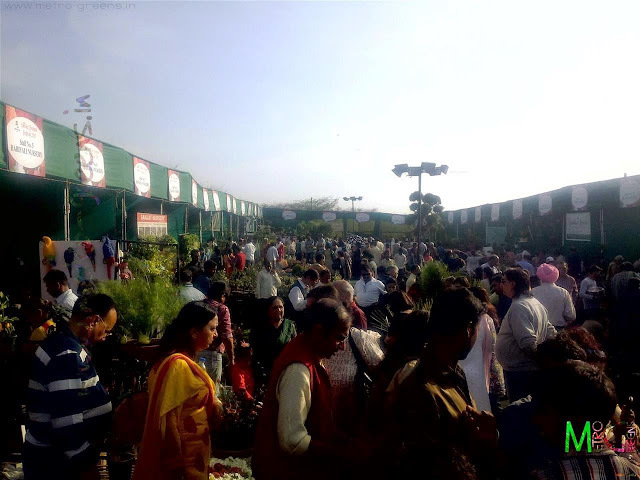 I was stunned to see the numbers of people swarming that enclosed area of stalls selling all kinds of plants, orchids, seeds, bulbs, planters and other such stuff. 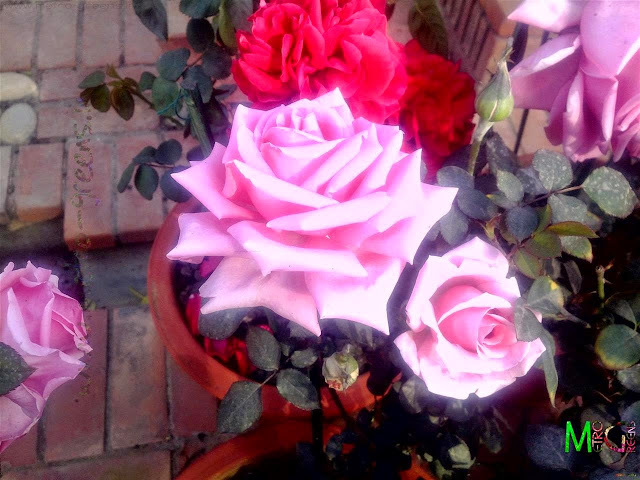 Just before reaching there, please allow me to complete just a few remaining plant arrangements that were worth sharing here. 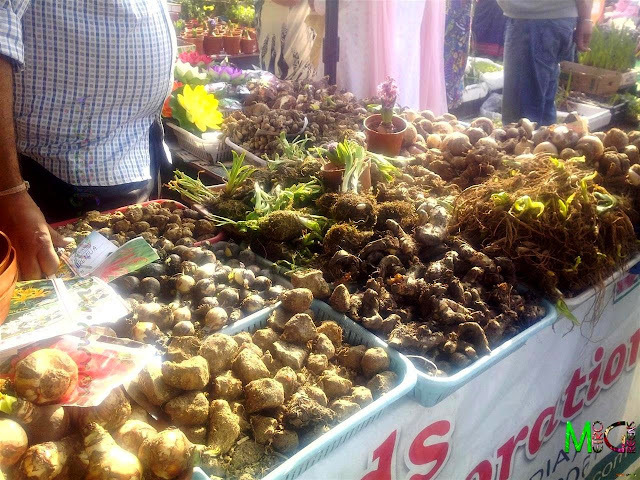 And then there were all kinds of potted vegetable on display by a number of organizers. 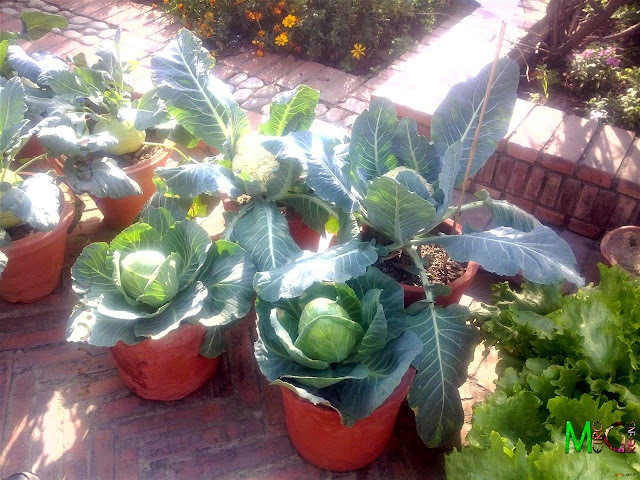 Be it lettuce or cabbages, cauliflowers or lemons or fruits. 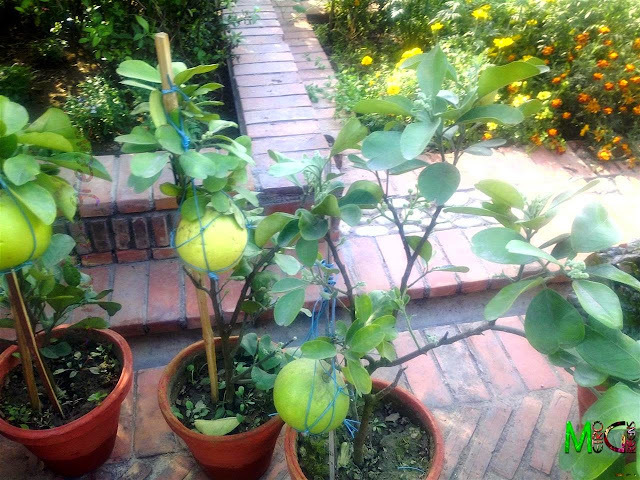 It was an amazing sight seeing such huge lemons on such a small plant, planted in a pot. Finally, it was time to go for some shopping. 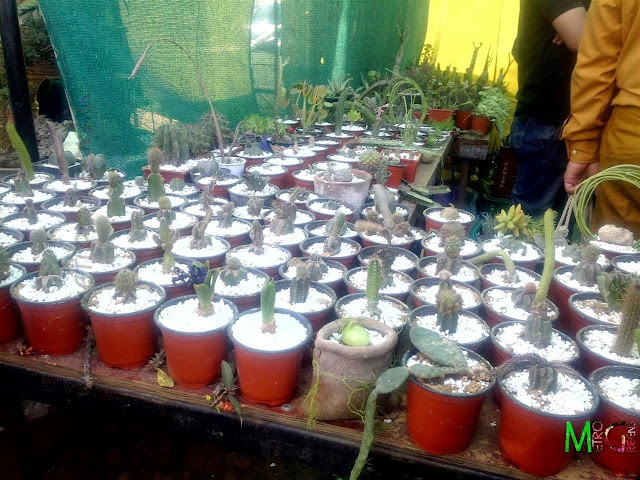 The variety of gardening supplies was numerous, ranging from dozens of flowering plant bulbs, seeds, saplings and seedlings of flowering and non flowering plants, foliage plants, hundreds of cactuses, pots and planters of all shapes and sizes, bonsais and lucky bamboos. 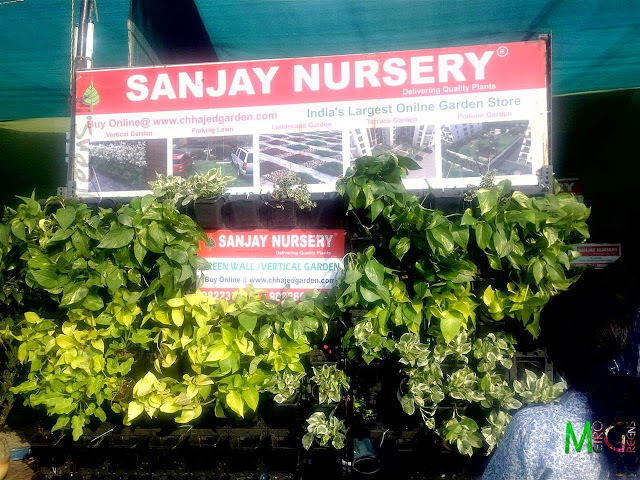 One stall had a bonsai showcased with a sold tag saying the 80 year old bonsai was sold for a whopping Rs. 2,30,000. 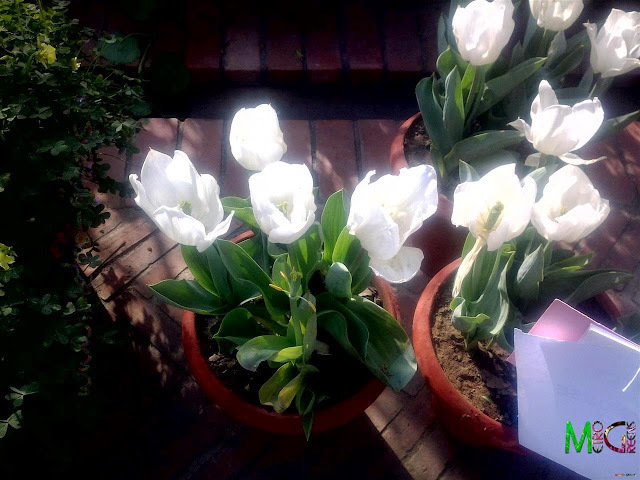 I looked and looked and looked only to find yellow tulips worth buying. 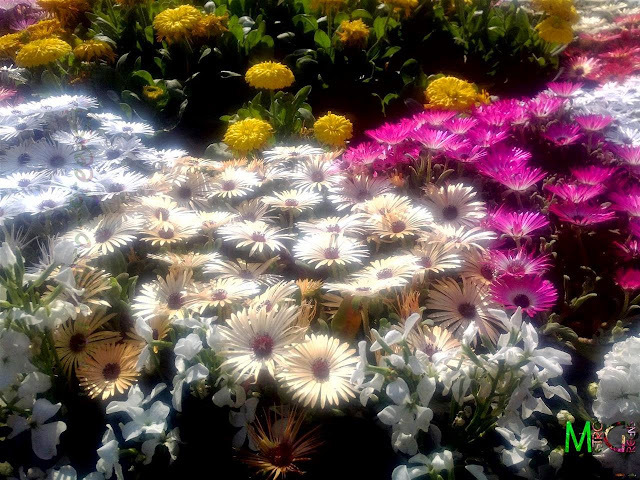 I wanted to buy gerberas too, but, the price they quoted for a single plant, that was to die within a month was a bit too high. I left it. 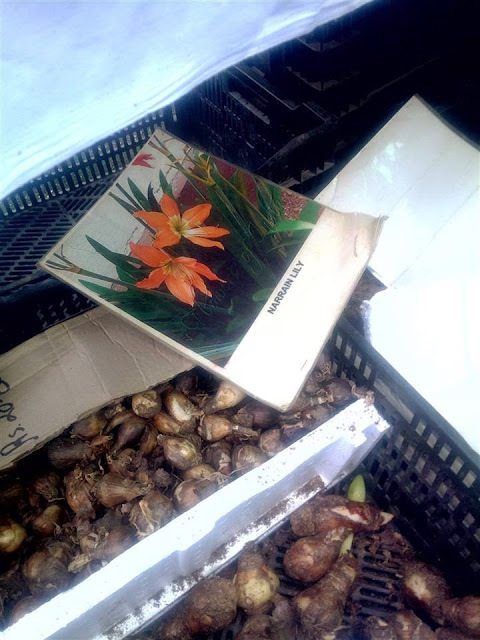 Finally settled with a single yellow tulip, and a couple of lily bulbs and tubers. 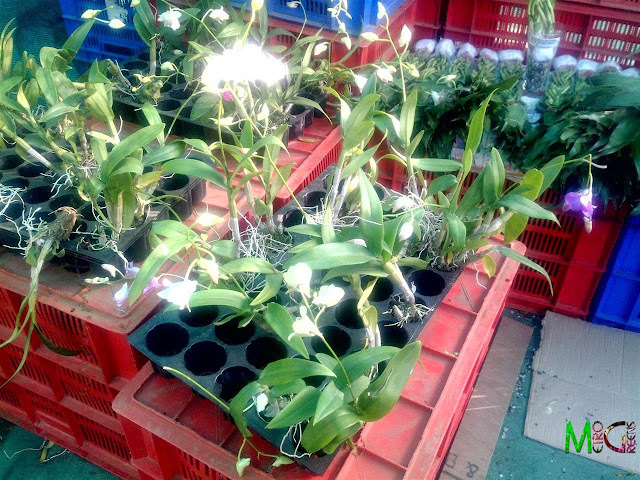 While moving out, I checked out a stall selling orchids. 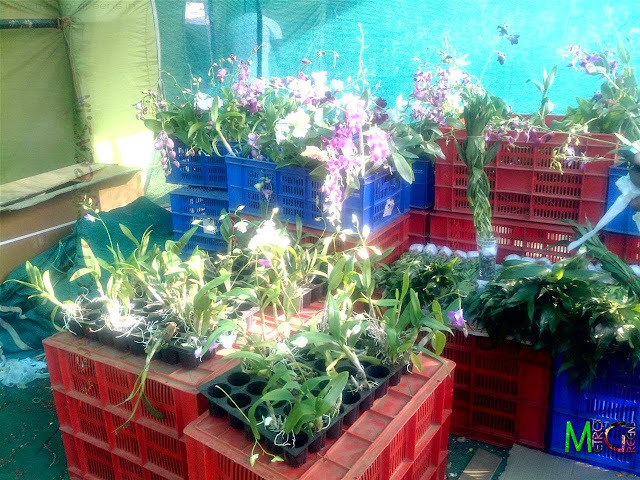 Again, the prices were too high, and the climate conditions orchids need was hard to create in Delhi, so, I didn't buy any of them. 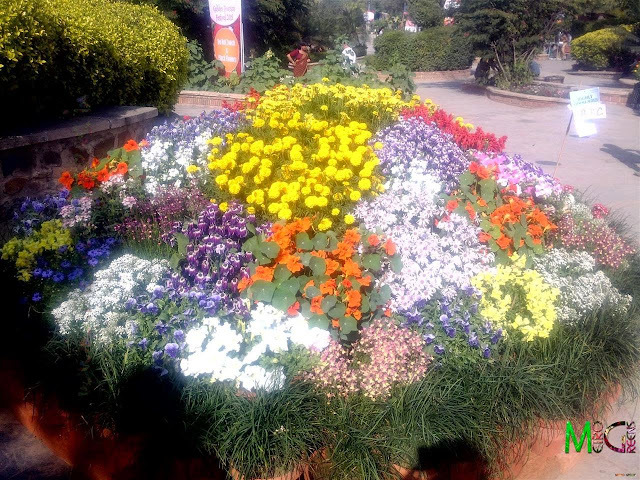 With this, the Garden Tourism Festival of 2015 completes. It was a beautiful event to attend. 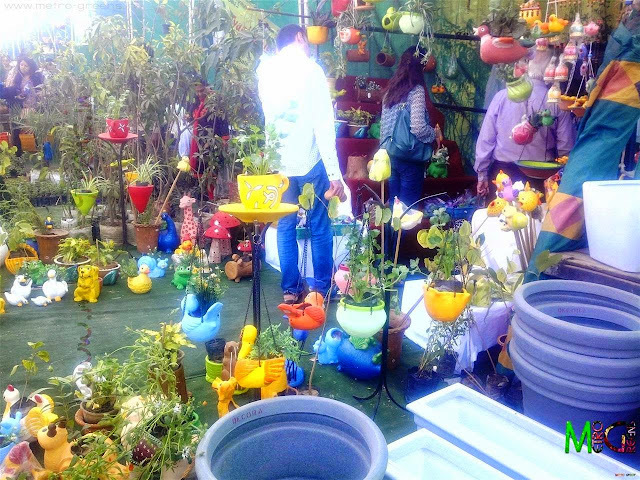 I would suggest anyone and everyone who likes plants to give a visit to one such festival. 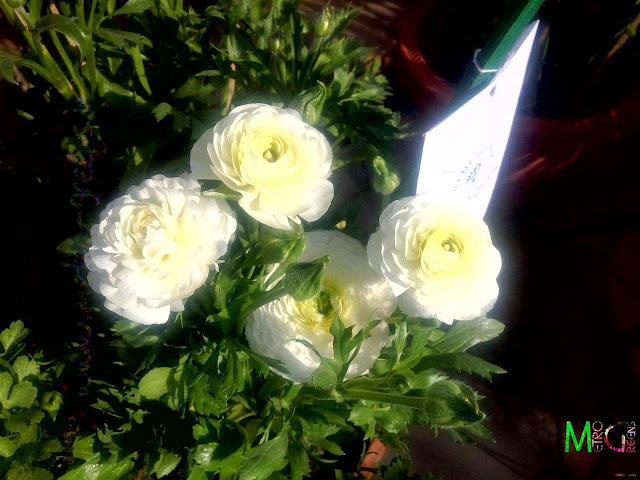 I will be back with some latest happenings in my rooftop garden, which is brimming with activity in this spring season. 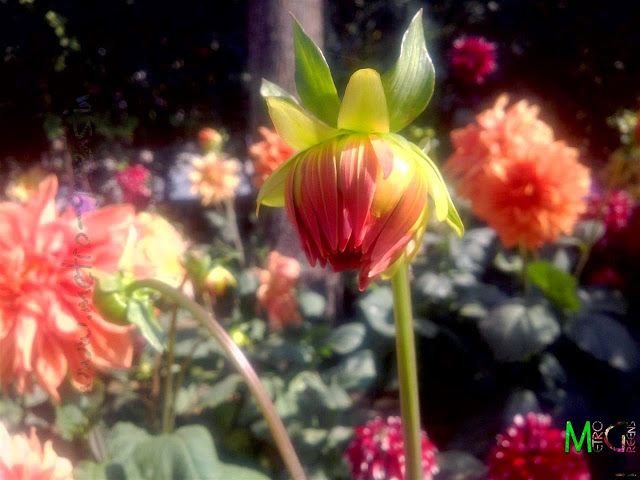 Dahlias, tulip, roses, all blooming these days. I will be back in the next post with the updates from the garden. 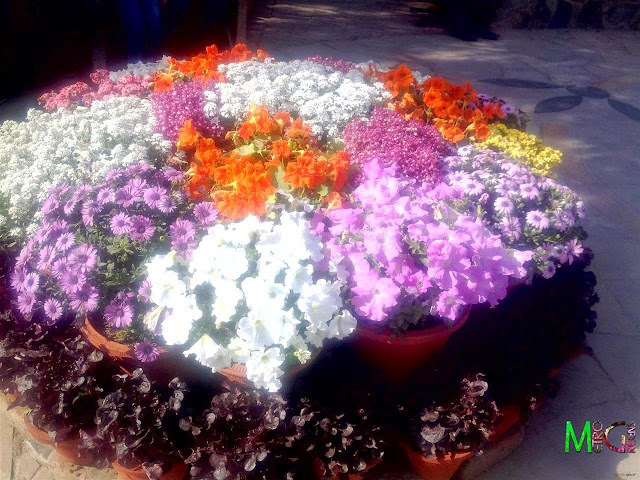 Till then keep trying and HAPPY GARDENING!